Home » Listings » 322 Surf Dr. 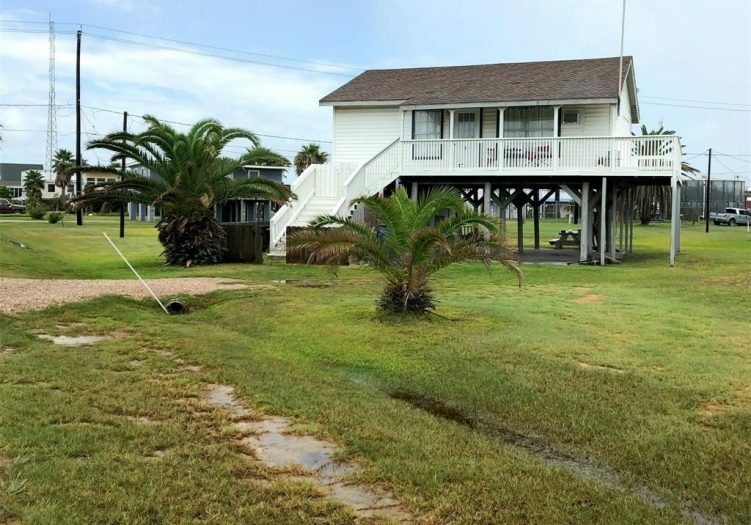 This sweet Surfside beach house is an easy block & a half stroll from the beach! Thanks to its QUADRUPLE lots, this property offers huge front AND backyard areas-- large enough for simultaneous volleyball & flag football games! The covered patio underneath is perfect for grilling, complete with an enclosed mudroom with W/D, extra freezer, & full bath. Rinse the sand off in the outdoor shower before heading up to the second floor wrap-around porch to sip a drink and enjoy the calming sea breeze. Inside you're greeted by perfect light & bright beach vibes with comfy, modern furnishings. It is being offered for sale fully furnished including appliances & TV's-- ready for your family to enjoy, &/or to rent for extra income. Durable wood-look flooring, 2" blinds, & wide, vintage trims provide loads of character & charm. All bedrooms have wardrobes for clothes storage, which stay as well. Brand new roof in 2013. The salt life is calling!